The current economy has forced many people out of work, causing them to come up with making a living on their own. This has gradually filtered down to the younger generation, many of them children of these laid-off workers who help their kids start businesses. In order for kids to become successful entrepreneurs, it is necessary to teach them the skills of an entrepreneur. Because of the success of such kid startups such as “Facebook,” “Flickr” and “DeviantArt,” more educators realize the importance of entrepreneur training at the school level. Are entrepreneurs born with their abilities to strike out on their own? Or can they be taught? 1. Entrepreneurs are risk-takers. This shouldn’t be bad risk, such as putting up a family house for a pipe dream. It is the ability to take one day as it comes, never knowing what the morrow may bring. This means also that it is necessary for them to be savvy about money and save back much of what they earn for a “rainy day” as they go. 2. Entrepreneurs are dreamers. They are able to have a clear vision for their ideas and are willing to see them through, despite the criticism. For this reason, they must also be a bit tough skinned. 3. Entrepreneurs are practical. This might seem to conflict with #2, but it actually complements it. While business owners have visions that others cannot see, they also have the smarts to bail out of a bad situation when necessary and try things another way. Mark Cuban of “Shark Tank” has a saying, “Follow the money.” This must always be in the corner of the minds of budding entrepreneurs so parents should try to instill this idea in kids. They should do what they love doing, but focus on the pursuits which bring the best profit. 4. Entrepreneurs always look at things from varied perspectives. They are able to see things from different viewpoints when necessary. 5. Entrepreneurs know how to pool their resources. This includes money, materials and associations that can help their business thrive. They are always on the lookout for new resources that will push their business to new heights. Encourage kids to help come up with new innovative ideas, then try to sell them online. As noted, many million-dollar companies started online. Some sites kids can sell on (with parental help) are eBay, Amazon and Etsy, among others. Urge kids to show off their inventions at local science fairs or expos. Many of the great inventions on the market today were started by first showing them at local fairs and exposes. They can show their creations to local people to see how they are received. Instill a sense of power in kids. While they need to be realistic, they should not be afraid to dream. Teaching kids to reach for the sky and not to put limitations on their imagination is the first step to creating something great. 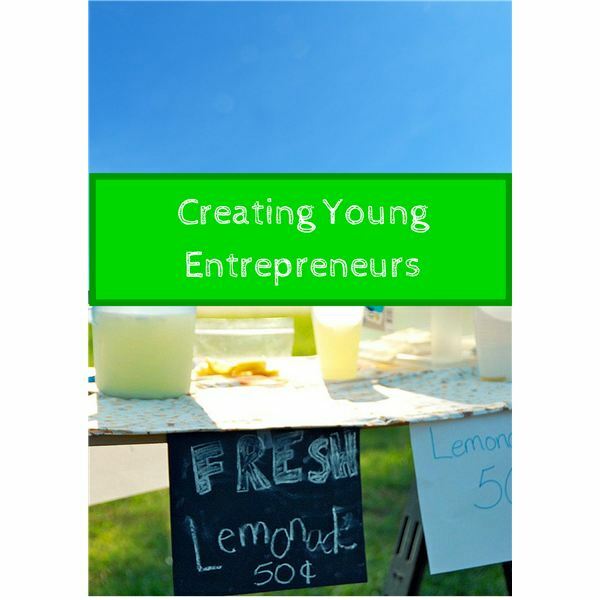 Parents can do many things to encourage young entrepreneurs. Show them documentaries of successful young entrepreneurs and teach them to aim high in their goals. A good sense of vision, along with a practical sense of doing the ethical and pragmatic thing, can create the qualities necessary for your child to create their own future. This is the age of entrepreneurship. Once you have encouraged your child through these means, and then set them loose to dream and grow. The rest is up to them!